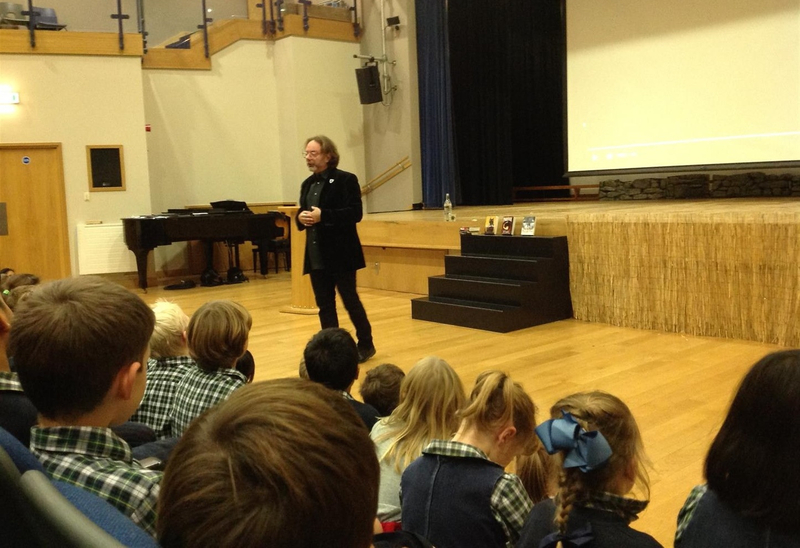 I met some fantastic young readers and writers last week at Newton Prep. I was invited by the brilliant school librarian Nelia Beyers to talk to Years 6, 5, 4 and 3, and I was delighted to see what a wide range of reading they'd been doing, and what interesting questions they had for me. 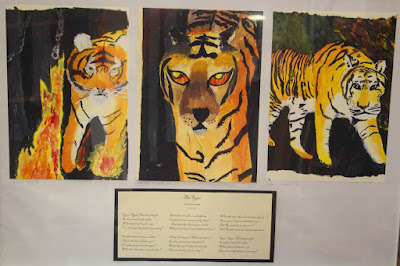 I was particularly excited to find these beautiful pictures inspired by William Blake's poem The Tyger in the school library. This is one of my own favourite poems, and it's one of the inspirations behind TYGER: the new book that I'm currently writing! Some very thoughtful young writers were asking me after the event for writing tips. I've done a series of tips on this blog, and you can find them all by clicking this link. We didn't quite have enough time to answer all the questions that everyone had, so if anyone from Newton Prep would like to ask me another question, or to say anything about the visit or my books, this is the place to do it!